My exposed arm and nose felt like ice and the stainless steel of the heater pinged and pinked as its steel case cooled. A curlew called from somewhere stage left. The stove had stayed alight for eight hours, but now at three in the morning the Egg was getting cold. 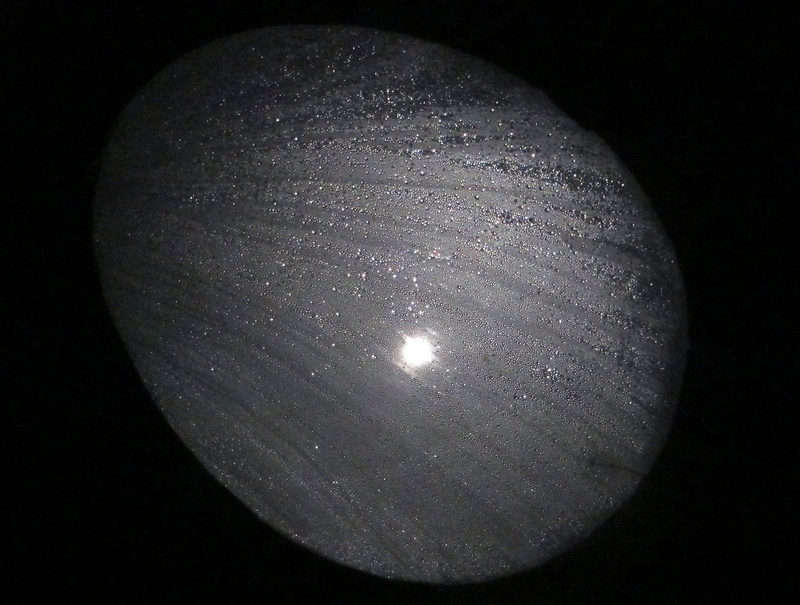 Grey light from the full moon streamed through the main skylight and I took its picture through a growing river of condensation. 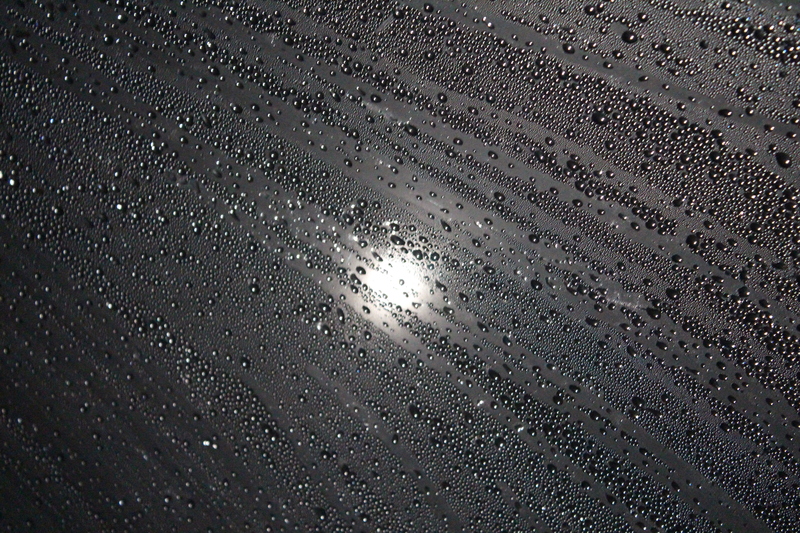 A triple spatter of droplets fell onto the plastic bag protecting my drawings as I crawled back under the covers.